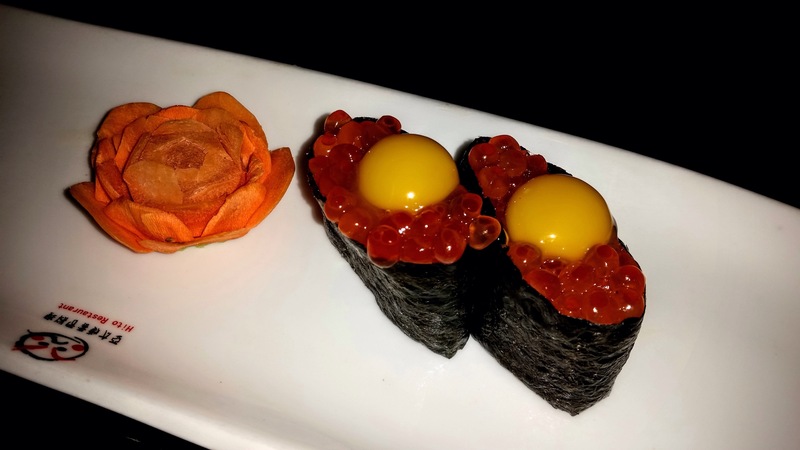 There are four Asian Fusion restaurants in Mamaroneck, NY and I have been to all of them now with Zenzo Sushi rounding up the end of the list. Each has its own uniqueness. Below is a quick summary of them. Click on the name below to read my past reviews. 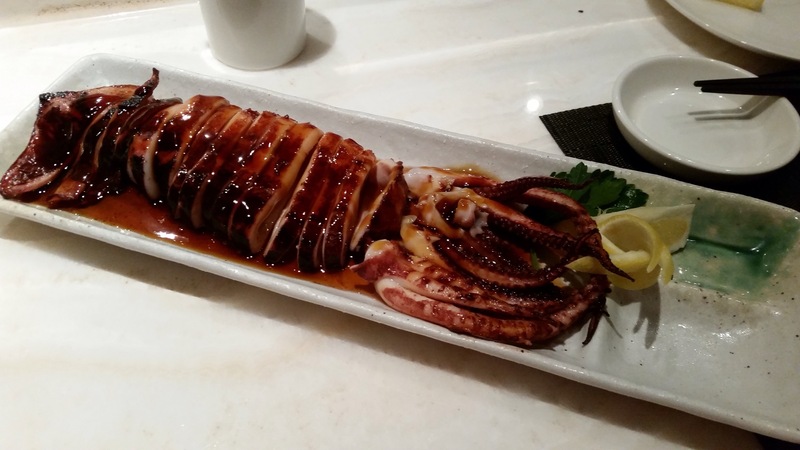 Ginban – Decent food. Friendly staff, caters to families. Big on presentation. A tie with Haiku. 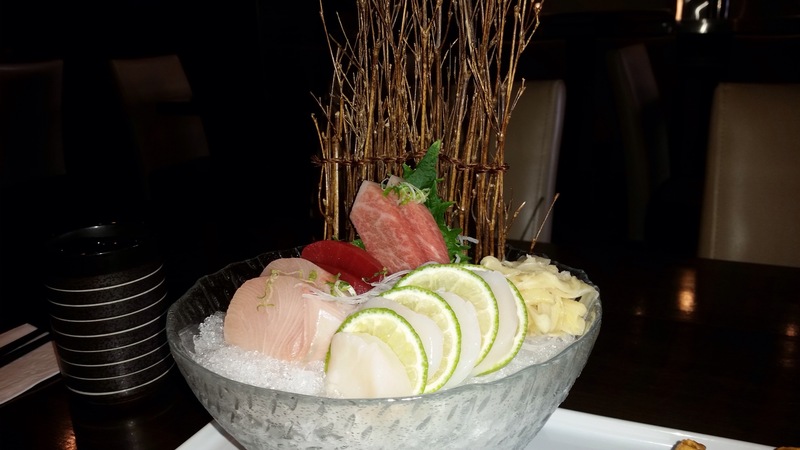 Zenzo – The surprising winner with a strong selection of sashimi. Worth returning to try other non raw items that are on the menu. We went off menu and simply ordered whatever we fancied. 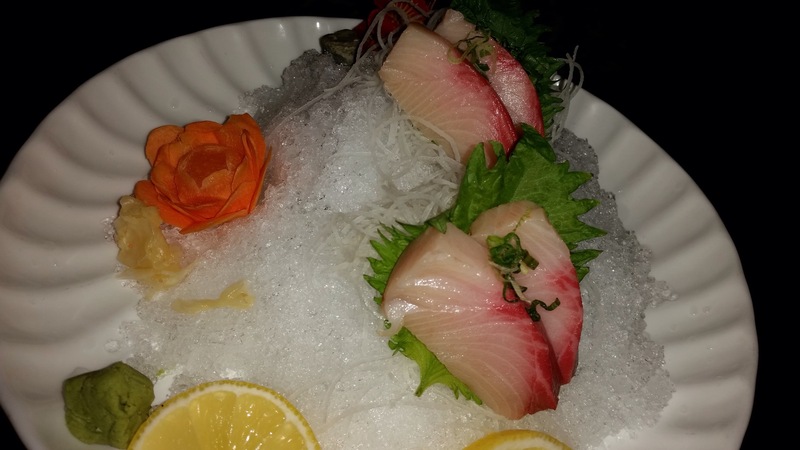 Sashimi: Hamachi (Yellowtail), Toro (Fatty Tuna), Maguro (Tuna), and Hotatekai (Scallop). The presentation was clean and elegant. 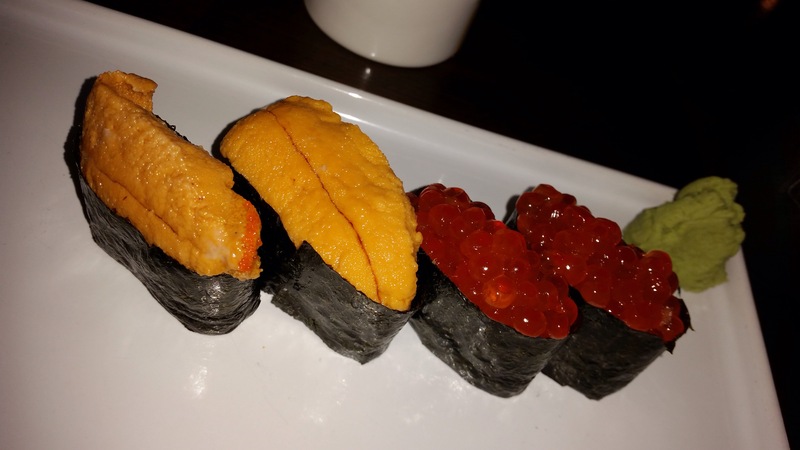 Sushi: Uni (Sea urchin), Ikura (Salmon Roe). 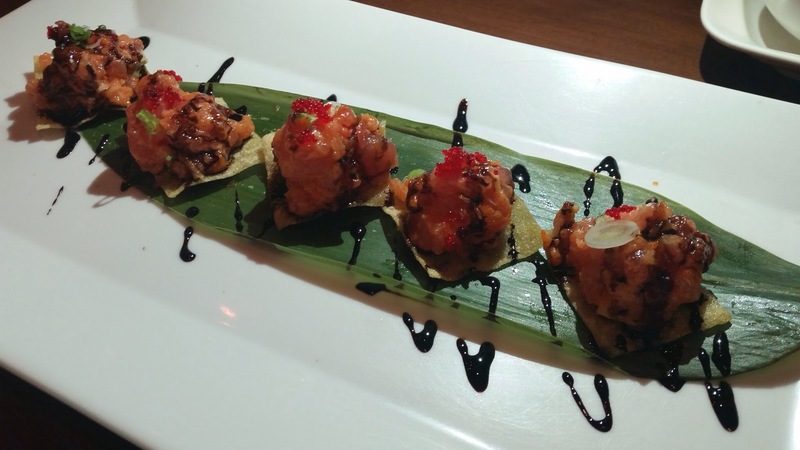 Ginban Asian Bistro and Sushi in Mamaroneck, NY is one of the four Asian Fusion restaurants on a short stretch of Mamaroneck Ave off the Metro North Station. I often wondered how these four restaurants compete and survive. Ginban apparently is the family friendly one. When I was there, there were two groups of families with small children. The children (4-5 of them all around 5-6 years old) ran around the entire restaurant playing hide and seek, without discouragement from parents nor the restaurant staff. They were very noisy and I asked to sit as far from them as possible. 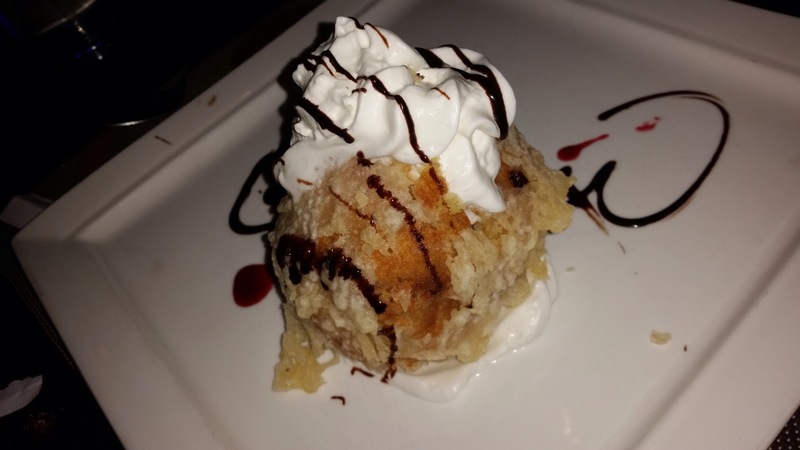 In conclusion, if I had a family in Mamaroneck with small children and want to eat dinner out in a restaurant with contemporary atmosphere (almost like the City but not quite), Ginban is where I would come. My children could eat the generic chicken fried rice, be exposed to slightly more exotic dishes like salmon roll, and run around in the restaurant after they finish eating. I can then eat in peace with my husband, partner or friends. It’s all about targeting your demographics- Ginban’s website content should be re-written. 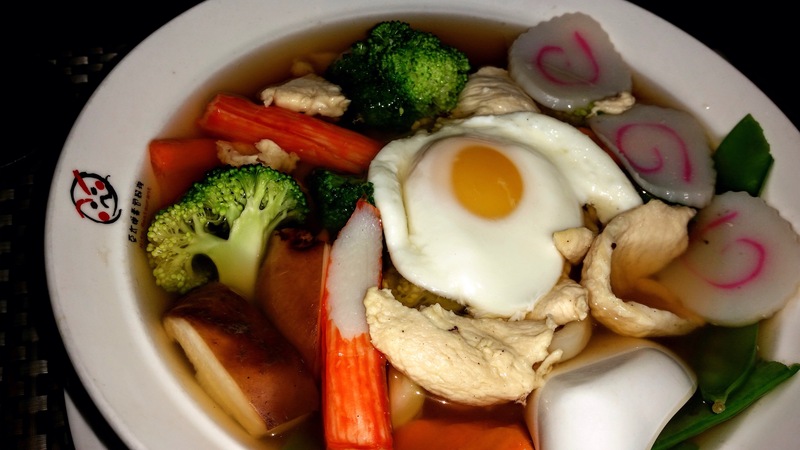 Hito Japanese Restaurant in Mount Kisco, NY has great reviews across Yelp and Open Table. I went based on the research I did. What happened next was a series of unfortunate events for everyone involved. It was a mid-January night. I met a friend at 6:30pm. The restaurant was completely empty and cold. We asked for the heat to be turned up and they thought we would be more comfortable in one of those Japanese styled rooms in the back. Something was wrong with the design of the room. The distance from the tatami to the floor was weird; my legs were hanging off the tatami like those of a small child sitting on the edge of a cliff. The distance from the tatami to the table in the center of the room was off; I could not sit close enough to the table without hunching over. The table was too low. I tried to pull my legs up, sitting cross-legged and leaning back against the wall. The walls looked like they were constructed out of 4’x 8′ plywood and were barely decorated. The walls were also hard and uncomfortable to lean against. 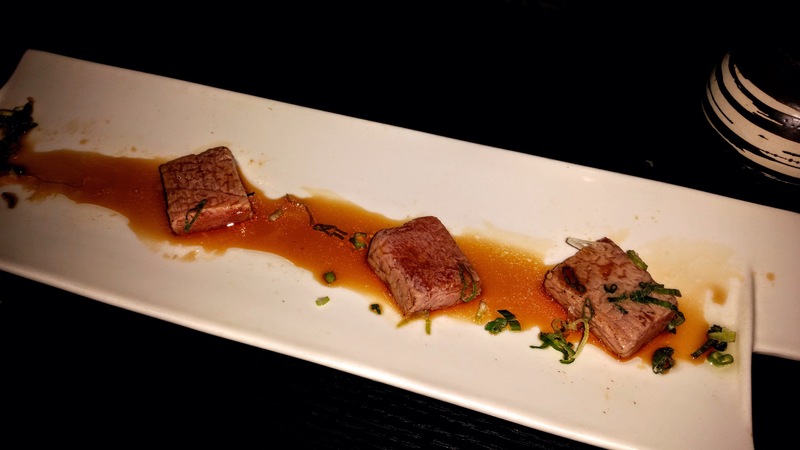 Seared Tuna/Maguro – compliments of the restaurant. 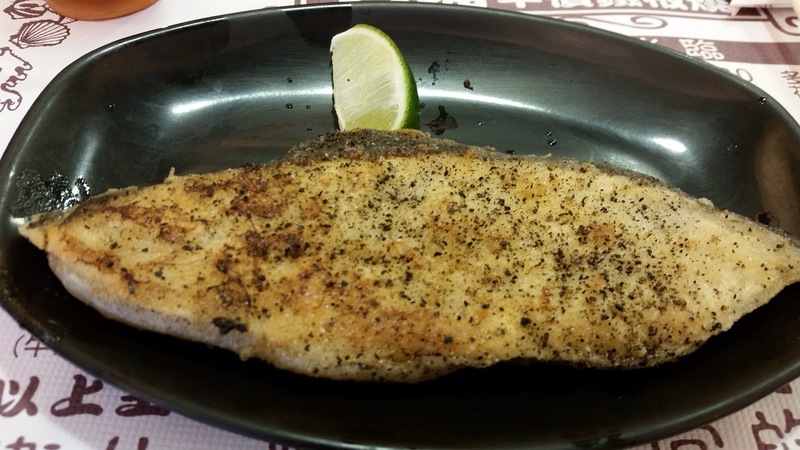 Why would you sear your raw fish and smother it with teriyaki when it’s better raw? 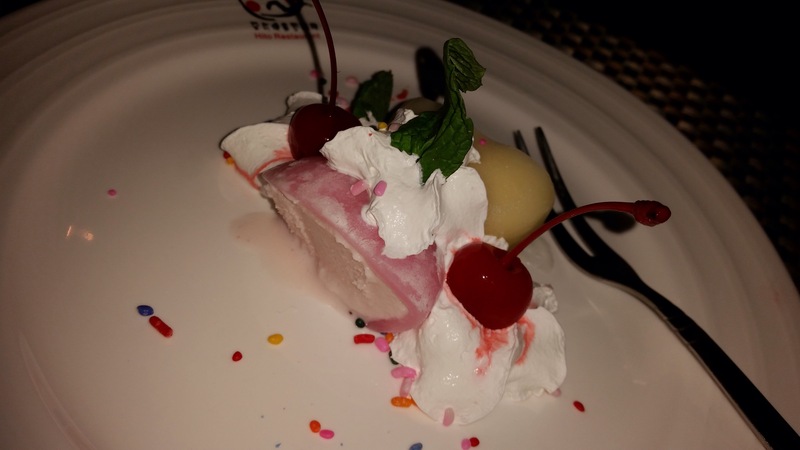 Mochi Ice cream compliments of the restaurant. This was good. Perhaps the food was better than what I thought that night. Perhaps I am just an ungrateful person. It irritated me greatly that the Asian wait staff did not have more pride in their service level or a higher bar for chopsticks. 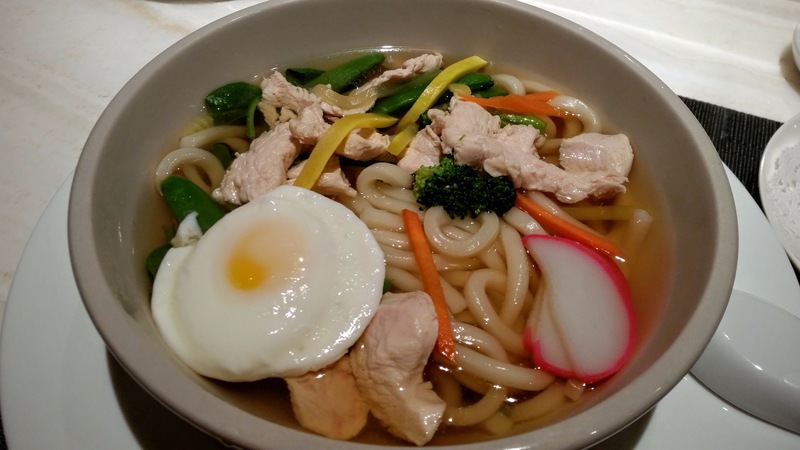 You only see uneven chopsticks in the cheapest of the cheap restaurants in Asia; takeout joints in most places do better than this fancy restaurant in Mount Kisco, NY. For a $70 meal, I expected and demanded even-length chopsticks. The wait staff seemed to have recognized their shortcomings by offering complimentary dishes. Regardless, it’s difficult to like your dinner when nothing went right all night. I shop at Asian grocery stores, from time to time. When I am out in Queens, I tend to go to H Mart in Williston Park on Long Island. H Mart is best for one reason: You can buy reasonably priced sashimi and indulge/gorge until your heart beats with delight. You can buy all the accoutrement and make the plate real pretty. This plate consists of tuna, salmon, octopus, yellow tail, seaweed salad, and the “smelly” daikon salad (My co-workers had a huge issue with the daikon salad when I brought it into work one day. They threatened to go to HR to stop me from eating the smelly food!) 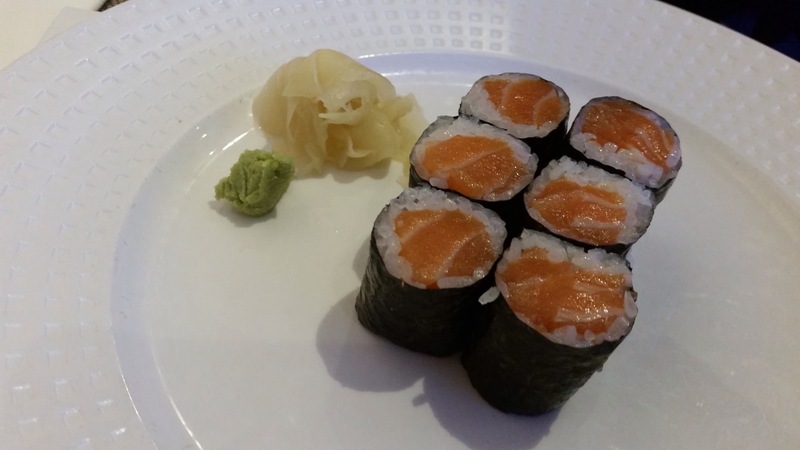 Of course, I also had ginger and wasabi. All in all, this plate was less than $50. 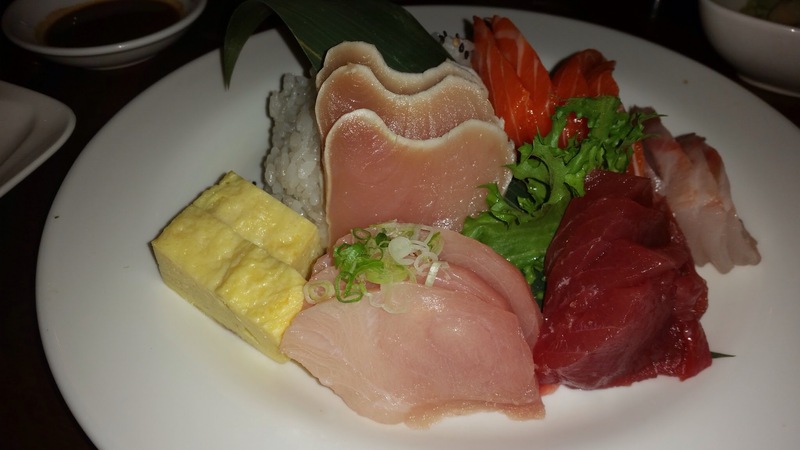 The effort to cut up the sashimi was minimal. The presentation was beautiful. So why wouldn’t you do the same, if you are a sashimi fan and eating out in restaurants is not always economically viable? The H Mart in Hartsdale (Westchester, NY) has a hot food court (My post on Reliable Food Court Eating). That’s also an excellent option for delicious Asian food with ingredients straight from the supermarket. This is as close to Asian local/home eating as one gets in the New York ti-state area. P.S. This is my 6th of 17 challenge, writing one post a day until I go on vacation this month. I met up with a friend to try the Teppanyaki in Taipei in August. Brad, my Canadian friend living in Taipei, recommended this Teppanyaki place, 大埔平價鐵板燒, right by the Technology Building MRT Station. For those of us who are confused by the definition of Teppanyaki vs. Hibachi, here are the differences. Teppanyaki is “is a style of Japanese cuisine that uses an iron griddle to cook food,” sometimes is thought of as Hibachi in the US. Hibachi is “a traditional Japanese heating device. It consists of a round, cylindrical or a box-shaped open-topped container, made from or lined with a heatproof material and designed to hold burning charcoal.” The menu is straight forward – but with as many options as possible, from a combination meal A and B, seafood only, surf and turf to individual selections of beef, pork, chicken, fish, shrimps, eggs, and on and on. 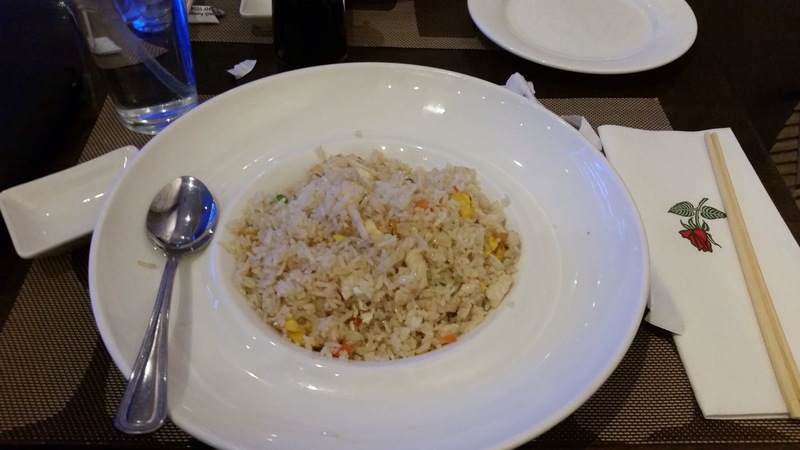 Each meal is served with unlimited white rice, two selections of veggies and both hot and cold drinks. 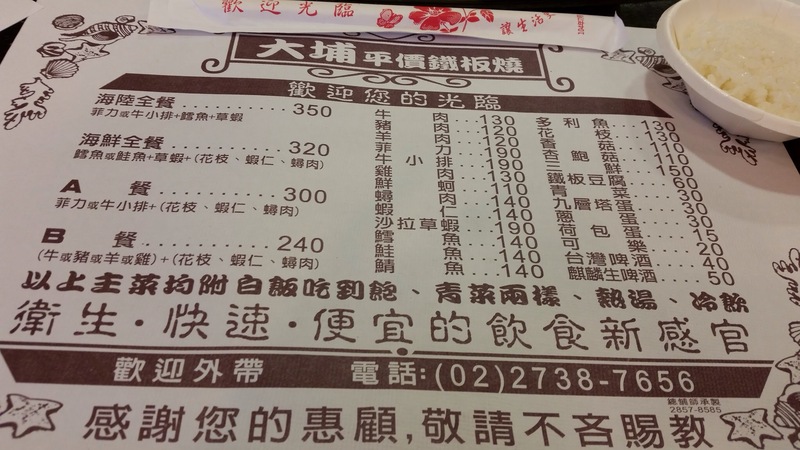 Options galore… which is a very common theme in Taiwan. I feel very sorry for the foreigners who cannot read Chinese. This is difficult even for me to properly navigate. 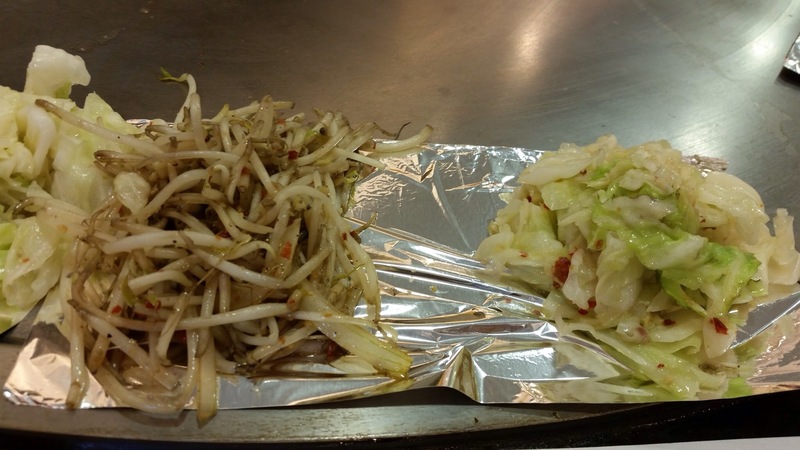 In total, a piece of cod, bean sprouts, and cabbages cooked on the teppanyaki plus rice and drinks cost me around $5 USD. The chef was extremely friendly. The food was hot. The company was excellent. I felt like I am back in college when all I care about was the conversation that was happening at the time. I was present and throughly enjoying myself. The food was awesome and unbeatable for $5. 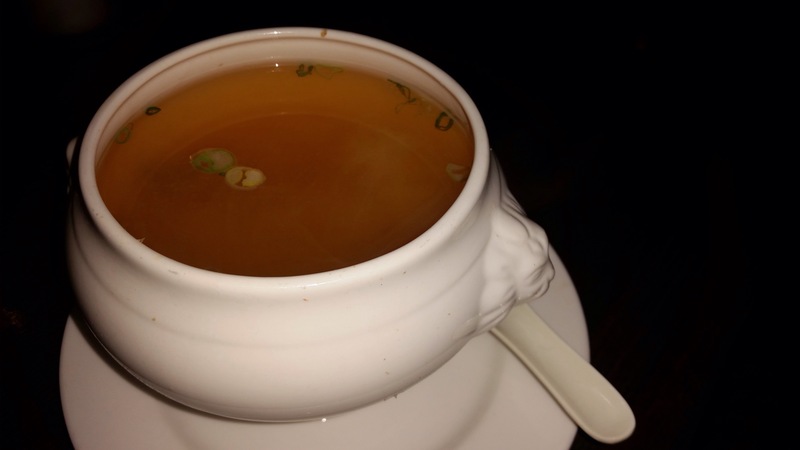 Although I highly recommend it, some of the Taiwanese bloggers don’t seem to be fans. I think it’s mostly because they expected more from the $5 USD than I did. 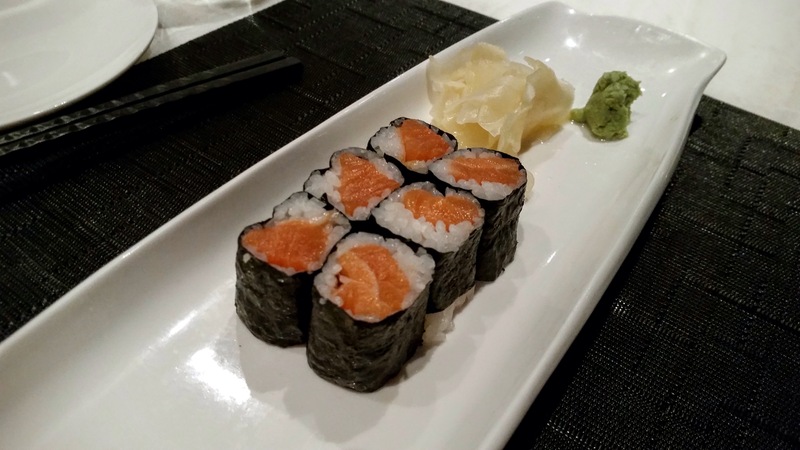 My value system is different – I am used to paying a lot more for teppanyaki! Kira Asian Bistro + Sushi Bar used to be called Kira Sushi when I first moved to Armonk eight years ago. 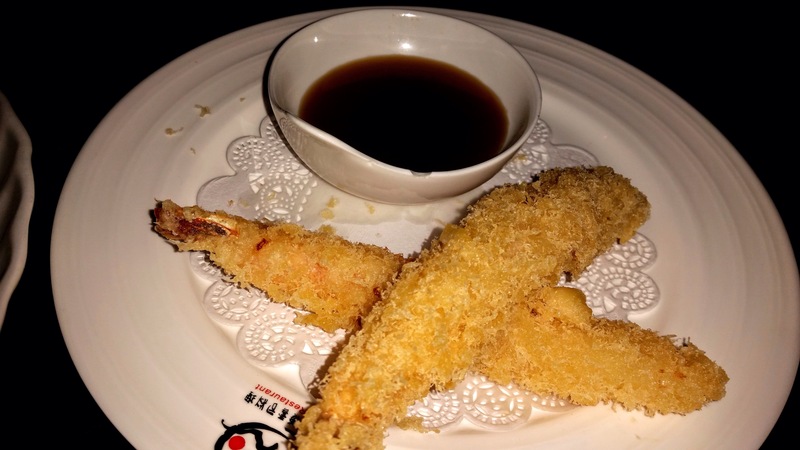 The menu was more Japanese than Asian fusion. Now with the new brand name, it’s clear that they serve both Chinese and Japanese dishes with a bend at being fusion. 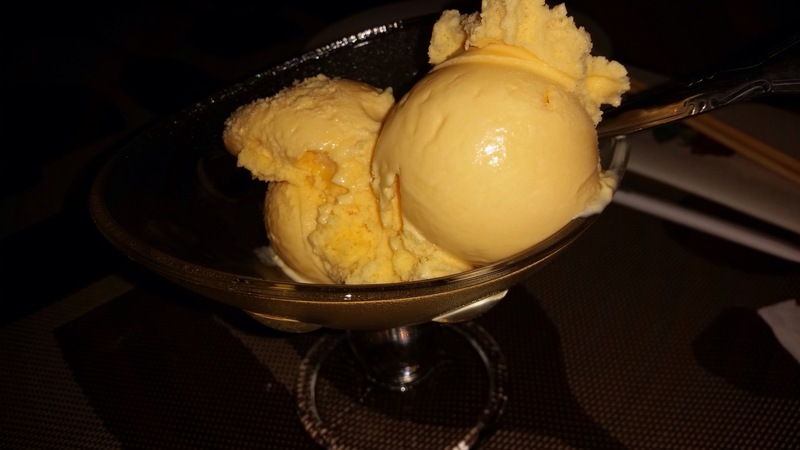 Their specials that day were dominated by many Chinese dishes and the staff all spoke Mandarin. This was my first time at Kira. 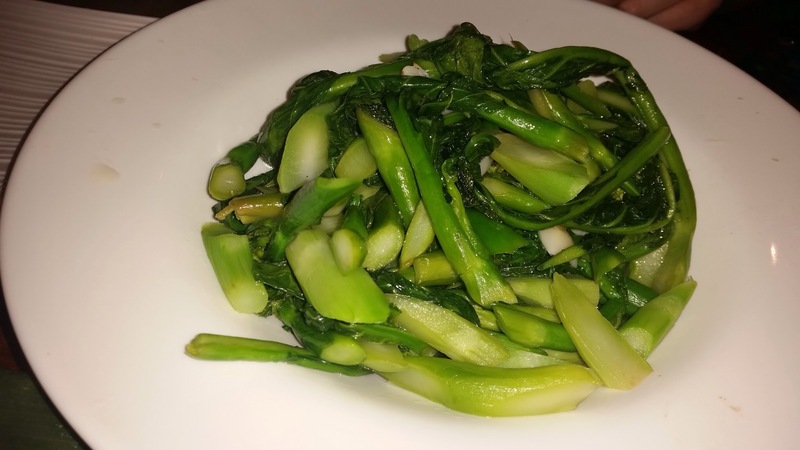 Special that day – a version of Chinese broccoli. Honestly, this was average. 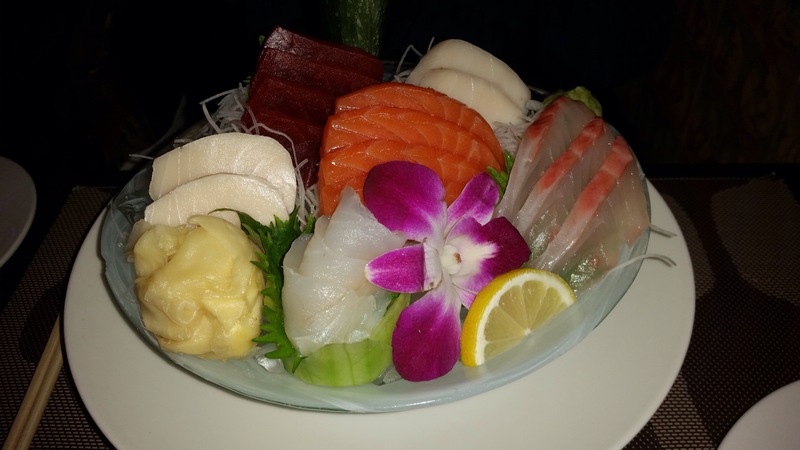 This was something I would expect from a good restaurant in Armonk: fresh sashimi, good presentation, and tasty. But there are so many restaurants like this in the Westchester area. The only reason Kira would stand out is because it is the only sushi restaurant in town. I would repeat because I live in the town. 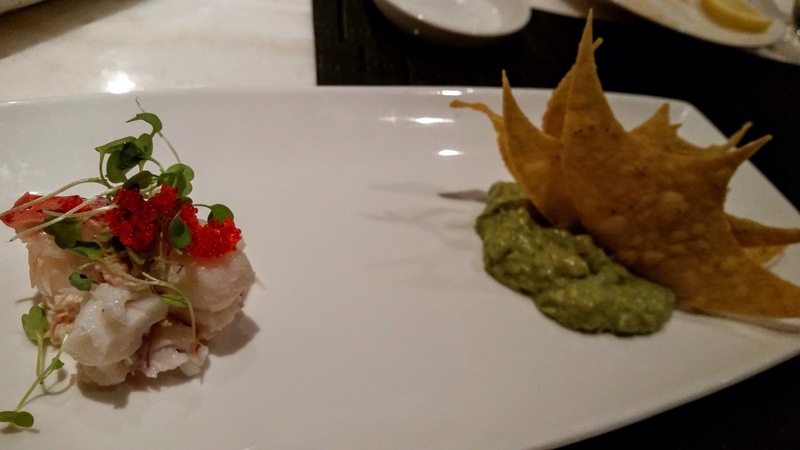 Would I travel to eat at Kira? Probably not. 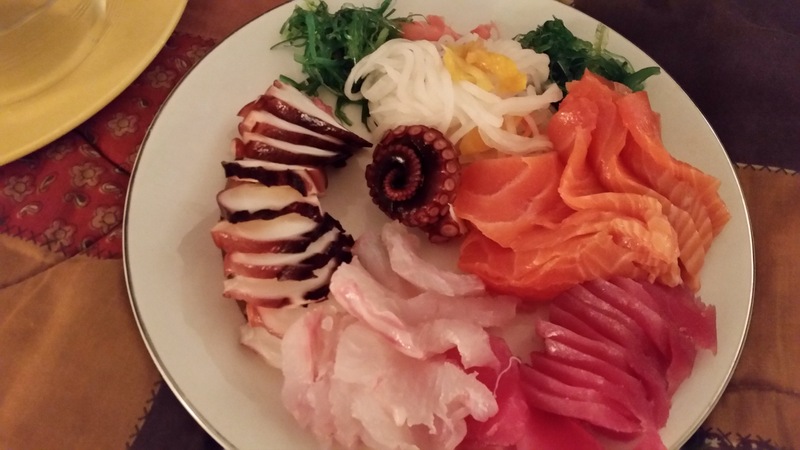 I would travel to go to Daido, the Japanese grocery store in White Plains, to buy the sashimi and cut them up myself.